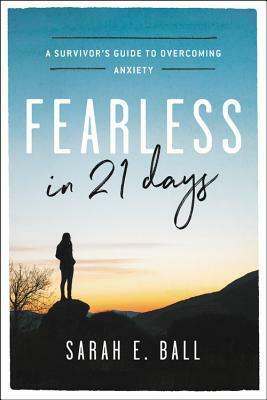 In a world where anxiety and depression is the highest mental health disorder diagnosed daily, Sarah Ball writes "Fearless in 21 Days" with a brave voice. She is fearless in addressing issues that are taboo in society and that people don't want to talk about or afraid to expose of their lives. 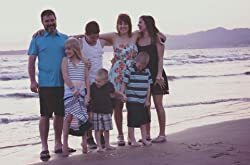 She isn't afraid to get her hands messy and share about panic attacks, medication or what it takes to face crippling anxiety and pressing forward to a life of freedom. She makes no qualms about the journey, but doesn't stay stuck on the negative either. She is realistic and bold. With practical truth, tools and humor, this book is refreshing. This book will not only help hundreds, but thousands who have been held captive for so long who aren't sure how to handle their deepest wounds. Sarah has written a book that has the reader learn to live fearlessly and joyfully. Her approach is different and is one that applies to your entire being; mind, soul and body. This is a great a book and wonderful resource. I highly recommend this book and truly enjoyed it. I give this book 5/5 stars. Pre- order this book here.